Welcome to Main Street Boxing & Muay Thai and Savarese Fight Fit! Main Street Boxing & Muay Thai / Savarese Fight Fit is your home for authentic Muay Thai, Boxing, and MMA programs! Whether you want to shed a few pounds, learn self defense, or get in the ring/cage, Main Street Boxing & Muay Thai / Savarese Fight Fit is for you! 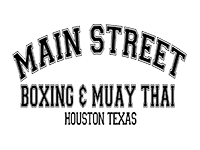 Main Street Boxing & Muay Thai & Savarese Fight Fit brings together the country’s top Muay Thai, Boxing, and MMA programs to Downtown Houston.